Indian PM Narendra Modi. PHOTO: AFP. The man is bigger than his party. This is the crux of the results of five assembly elections in India, especially the crucial state of Uttar Pradesh (UP) that sends 80 MPs to Parliament. After these polls, there is no denying that Narendra Modi’s popularity overshadows not only the opposition but also his own party, the ruling Bhartiya Janata Party (BJP). There was similar support for our first prime minister, Jawaharlal Nehru, as was there for his daughter Indira Gandhi during her regime. Modi is no Nehru and is also quite different from Indira; the background of the ‘chaiwala’ has to be unlike the aristocratic Nehru-Gandhi’s. But the three do have this in common: they had the nation behind them and were able to take the party forward on their own shoulders. Former prime minister Atal Bihari Vajpayee was an extremely well-liked leader but he never got the mandate that Modi has won. This is the first time that the BJP has a majority both in Parliament as also in the politically sensitive UP assembly. In spite of their popularity, both Nehru and Indira scored poor marks in economics. Nehru was initially preoccupied with the aftermath of Partition and if India has stayed on a liberal democratic path it’s because of the foundation laid by him. It is Pakistan’s misfortune that Muhammad Ali Jinnah died early. In later years though, Nehru got sucked into world politics and his priority was to be remembered as a statesman. As a result, India suffered. Indira, on the other hand, was too preoccupied with establishing a dynasty. She became authoritative and lost the confidence of her people and while she did bounce back, things were never the same. Today, the dynasty lies in tatters. The country is moving rapidly towards what Modi promised: ‘Congress Mukt Bharat’ (an India without the Congress party). Rahul Gandhi, the reluctant heir, needs to take a voluntary retirement scheme. Congress has done well in two of the other states that went to the polls – Punjab and Goa, where Rahul ironically addressed very few meetings but the party has been decimated in UP where he spent days campaigning. Congress didn’t get a single seat in Amethi, which is represented by him and considered a Gandhi bastion. But today the story is about Modi and his political magic. Both Nehru and Indira were statuesque; they did not use power to change the country. Instead, they let the slow process of change take its course. 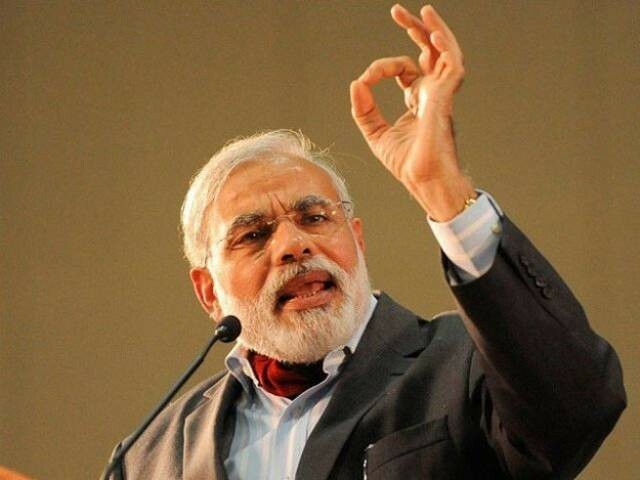 It helps that Modi is seen as a man who is not only hard-working but also scrupulously honest. He has no family so he doesn’t need to feather his nest, and neither are there any Panama Papers that can haunt him. But the prime minister is impatient. He wants change; his message of ‘badlav’ (replacement) has gone through. Liberals like Nobel Laureate Amartya Sen were aghast when he introduced demonetisation, some in the English media were even hoping that it would spell his doom. But Modi was able to turn around the whole dialogue to how the amir (rich) were having sleepless nights while the garib (poor) were happy. Now the poor are backing him. BJP was always known to be a bania party, that is, a party of traders. But Modi now has a new support base; he has captured the underprivileged with his promise of ‘sab ka vikas’ (development for everyone) by changing the entire format of Indian politics. The biggest losers in our political landscape today are the Congress and the Leftist who distributed poverty in the name of socialism. Much has been made of Modi’s disdain towards the Muslims. It didn’t help that the BJP did not give a ticket to a single Muslim candidate in UP. But the reality is that BJP’s huge victory could not have been without the substantial support from within this very community. In the Deoband constituency, which is home to the respected Darul Uloom, BJP’s Hindu candidate won against the Muslim candidates of other parties. This has two implications. One, the Muslim community has seen through the fake secularism of so-called secular parties. Like their treatment of the poor, they have also only distributed backwardness to the Muslims who remain one of the least progressive communities in the country, as clearly highlighted in the Sachar Commission report which was ordered in 2005 to report on the social and economic conditions of the Muslims in India. Secondly, the Muslims, especially the youth, have decided to go the same way as the rest of the country. The attempt to keep them in a secular prism is failing as their priorities have shifted: to get a job, have a good life and security just like everyone else. Today, it seems like the young ones are increasingly – although not completely – putting their faith in Modi’s promises. BJP has also realised it’s folly of not fielding any Muslim candidates and has now promised to include them in the UP cabinet. After all, a numerically-strong community cannot be left out of governance. What then does Modi’s recent victory mean for Indo- Pak relations? The prime minister has definitely emerged stronger and can take bold steps to restore the relationship between the two countries. Prime Minister Nawaz Sharif has an election coming up next year; hopefully, both will make use of the short window available. But one thing is clear: the Modi brand is here to stay. If there is any worry, it is that of too much concentration of power in one hand and we have seen it go wrong in the past. But that doesn’t worry Modi; he is already promising a ‘New India’ in 2022. Remember, the next election in India is in 2019. Modi was never known to be coy! Not a day passes when Tribune doesn’t post an article on Modiji. The author needs to stop having delusions about Modi talking to Pakistan. Nope he is not obligated to talk to Pakistan. Given his popularity is rising with each election the last thing he wants his another Kargil or Pathankot. Modi is ruthless when it comes to national interests. Within 2.5 years of him coming to power Maoists are on the run though this can also be attributed to NSA Dhoval. They have become frustrated with their shrinking space now they are attacking poor villagers.But still fact of the matter is he is completely different and deceive than all the Prime ministers India has ever had. He is not afraid to take big risks. Look at demonetization, who would have expected that he would do before the next big state elections of UP? No previous PM would have the guts to take such a decision that too before crucial state elections. Why should any Muslim be given a ticket just because he’s a Muslim? Unfortunately, in the history of 1450 years of Muslims across the world, there have only been a handful of leaders who have led Muslims towards progress. Instead of asking tickets for Muslims, we should ask, why 1.5 billion Muslims in the world have miserably failed to produce even a single good leader with a considerable following and considerable stand in the world? Look at the world today, there is not a single Muslim leader of stature. Not even Erdogan. All Muslim countries are suffering because of this. People voted for change, jobs, development and prosperity. The Banarsi Mulla rises to the occasion, once again. stooge, currently ‘the alleged chief minister’ of Hindustani Occupied Kashmir. With all the human rights violations,torture, mayhem carried out by the Indian Army,Rangers, Police, Border Patrol and other LEA.s it won’t be long before Hindustan will have a drastically untenable position. That is called pathetic and sickening. Bharat is going nowhere fast. Social scientist Ashis Nandy, along with Achyut Yagnik, had interviewed Narendra Modi in the early 1990s. This was well before he had become chief minister. After the interview, Nandy told Yagnik, “For the first time, I have met a textbook case of a fascist.” This is not the opinion of a political leader but that of an expert – a psychoanalyst. Even after Modi has been elected prime minister and raised slogans of ‘sabka saath, sabka vikaas’, Nandy still stands by his opinion. Modi’s personality is not natural but manufactured. It is a product of the Muslim-hate filled environment of the RSS. Violence is another factor that shapes his personality. Remember the keynote address Modi delivered at the Ramnath Goenka Awards in which he used the metaphor of a Dalit hit and run by a BMW. The point of view is that of the BMW driver and not the Dalit. A similar analogy was drawn by Modi earlier in his puppy remark. This is what BJP have in stock for you. The demand and acceptance of dowries is widespread in BJP ruled state of Rajasthan, in particular amongst the middle class. Even highly educated women are married off to strangers against their will. Once married, the woman is expected to remain at home and is confined to the four walls of her husband’s house. Higher education for women is only considered useful as a means to bargain for less dowry. In a state where women are valued at par with cattle, the execution of the Dowry Prohibition Act has clearly failed. In many parts of the state, the law enforcement agency, particularly the police, are controlled by the local political party leaders. Most of them, believing and propagating their interpretation of Hinduism, promoted by the Bahratiya Janata Party [BJP] advocate Manu proposition of women being equated to a Dalit. According to Manu law, the Manusmriti, women do not have equal status vis a vis the men. They have no other right other than those that have been granted to them by their husbands. Dearest, Hurriyat is the true voice of extremist Muslims. And such Muslims are a danger to any society. You probably don’t know the ground reality that your country’s Wahabi Muslims are killing your own on an hourly basis. So, Hurriyat represents terrorist and we’ll deal with them like we deal with terrorists. Only human rights violation, torture, terrorism, rapes, threats, occupation has happened of Kashmiri Pundits at the hands of Pak sponsored Hurriyat. And the world has already rejected Pak propaganda you so promptly raise and fail to make an impact every time. This is seriously wrong. Of course Muslims have produced a lot of leaders. I’m not going to argue this further. Anyway, I am a `bania’, a traditional BJP supporter from UP AND I am NOT happy with the lack of representation of Muslims. There are political compulsions, of course: muslims do not trust the BJP (for many very good reasons) and this means that it does not make electoral sense for the BJP to put up a muslim candidate because people in UP still vote along communal lines. But, in my opinion, it is clear that for “sab ka vikas”, and for the best of the country, any political party in power should have decent representation from all communities. The Hurriyat chose not to contest the election. No one prevented them from doing so. The only way of proving that you are the true blue representative in a democracy is by winning elections. And I am sure that Hurriyat and its backers feel proud of manipulating emotions by putting women and children at risk. So did demand for dowry become acceptable only after BJP came to power in Rajasthan? There are many social practices which need to be improved but it is unclear why you are associating them with Modi or BJP. so by the Bharati Media] was a reborn Mother Theresa. Maybe St. Francis of Assisi in disguise? Could be. time at traffic signals, helping the blind cross the streets. Oh! by the way, he now has visas to all Western Countries. population of 2 billion can do. Amazing! then that that is Fine, Good, Hunky Dory? Or a Dalit hit by a BMW? they do ! There are now roving band of RSS/Shiv Sena thugs and hoodlums hunting for Muslims in every major Hindustani cities. Other minorities are equal targets. Guess that is now the expected norm. Part and parcel of a barely literate Bharat diving off the deep end. Asian Hitler, among a litany of other un-publishable names. because Hindustanis like people threw their moral compass in the gutter.